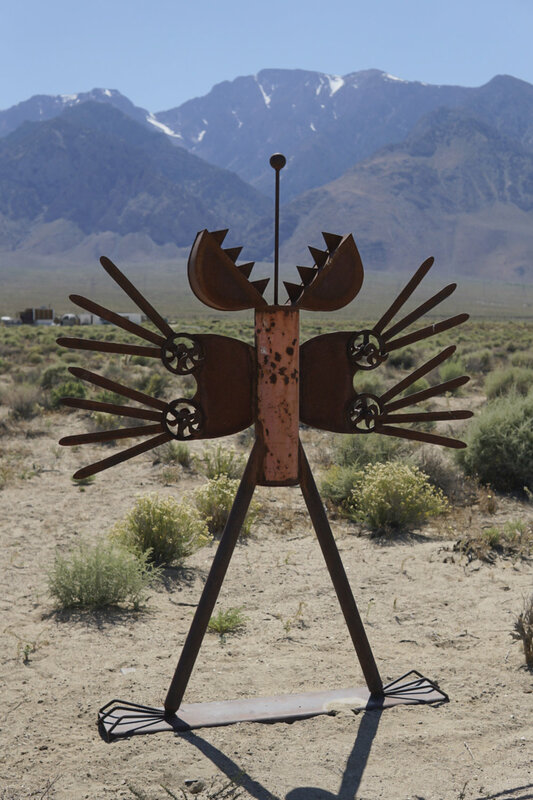 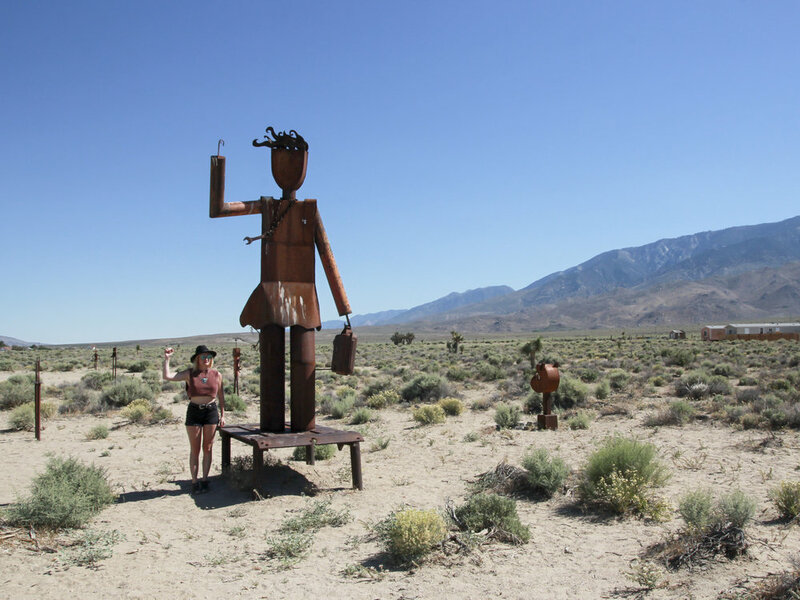 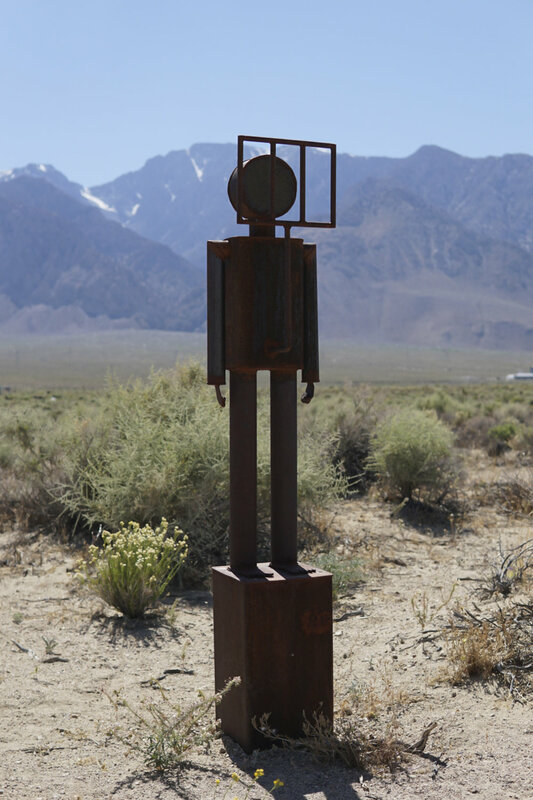 Along the 395 between Grant and Olancha there is an array of sculptures on the west side of the highway. 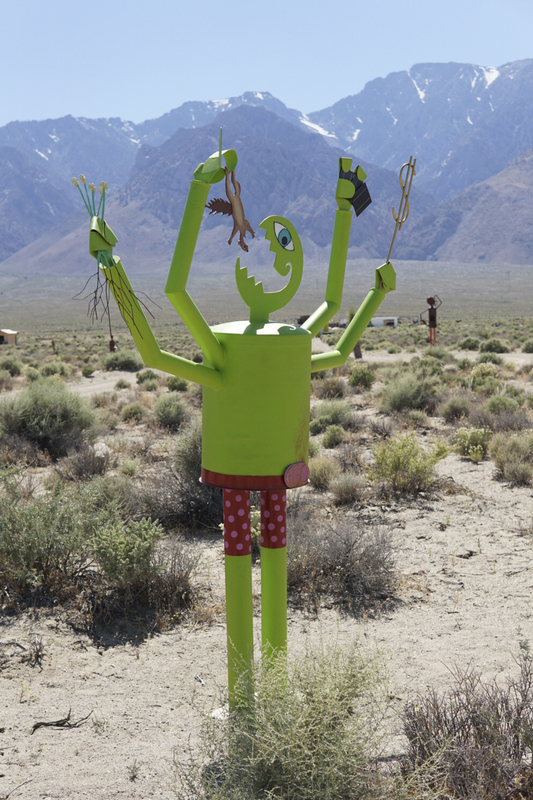 You can see them from the road and turn off to explore. 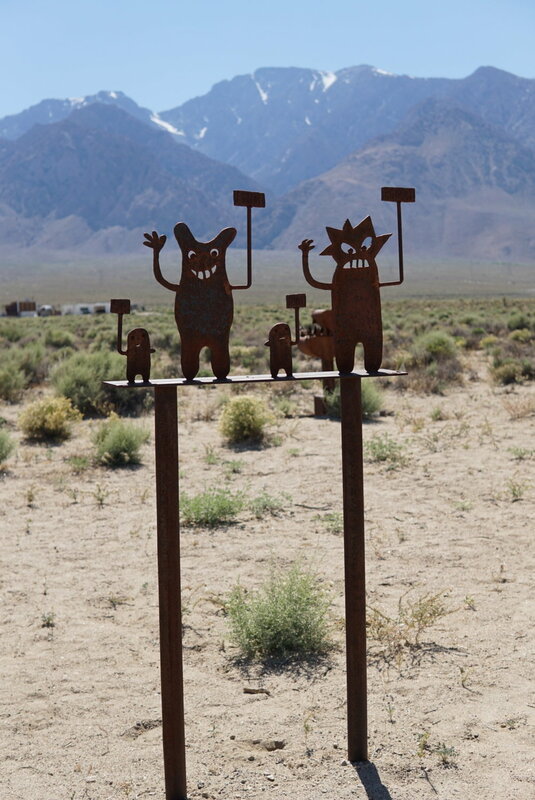 I'm not sure who created them, but are a fun sight to see!